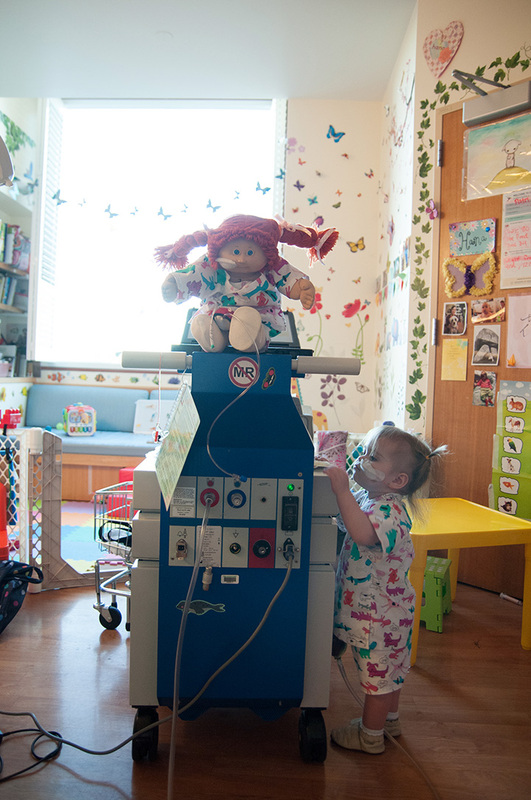 Today, Memorial Day, is the 2nd anniversary of Hana receiving her new heart, her gift of life. Yesterday, far away in Colorado, a family, Leo’s family, was remembering him on the two-year anniversary of the day he died. Leo was a toddler, full of life, who touched the hearts of those around him in a special way. He was, of course, cherished by his parents, Kelly and David and his extended family. His first word was “Dada”. He started walking at 10-months old and quickly started running after that. He loved ZZ top. He liked to eat goldfish crackers, puffs, potatoes and BBQ ribs. Leo had a few unexplained seizures, the first one at six-months old after his six-month vaccinations. He was admitted overnight to the hospital. Then, a couple more after that, but everything checked out fine, so they figured it was something he would outgrow and put him on medication to prevent further seizures. Then, one day in May while sitting on his father’s lap he became unresponsive. They administered emergency medication, called 911 and he was rushed to the hospital where he had a grand mal seizure. Leo was life flighted to the children’s hospital in Denver and 12 hours later his seizure finally stopped but left him in a coma that he would never come out of. After 8 days in the hospital, he was gone. When you have a child, your heart changes forever. You are never the same person again. So, I imagine when you lose that child, your heart gushes with so much grief, it must feel hard to ever stop or slow down. Your child is gone but you are still that changed person, never going back to being that child-less person you once were and now there is a piece of you so vital that is now missing. So, in the midst of all of that, David and Kelly, Leo’s parents made the incredibly selfless choice to donate Leo’s organs. His kidneys went to a recipient and his heart, his perfect heart, came to Hana. So sweet, sweet Leo was gone but his heart beats on as Hana’s gift of life. On this day, I celebrate Hana’s second chance at life and remember and cherish Leo’s life. The boy he was, the people who loved him so much. Please, if you can, take a moment or more and say a prayer, spare a thought, send positive vibes to Leo’s family and remember what a precious gift he was to them. At the end of January we received a letter from Leo’s parents. We replied with our own letter a couple weeks later. Then, a week or so ago we got a call from the nurse practitioner at Stanford saying that the family has requested a consent to release our personal information, so that we can contact each other without having to go through the donor network. I sent in the release but since I had found Leo’s mother, Kelly, on Facebook, I decided to send her a message. So, that’s how we’ve been communicating. I hope in the coming months, years we to get to know the family better and learn more about Leo. In other news, things have been busier than ever. Corrina turned 1-year! Hana successfully weaned off steroids! Hana had another biopsy which came back good, a 1a, which they treat as no rejection. 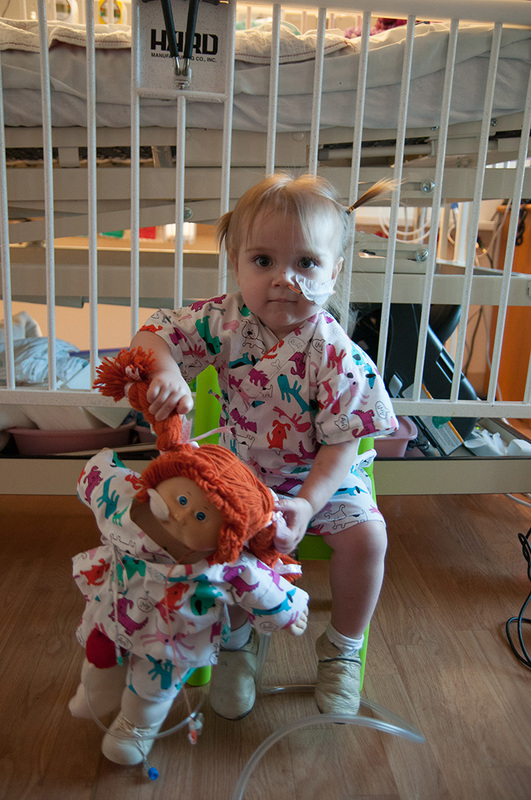 Her next biopsy will be in August for her annual cardiac catheterization and biopsy. We went back to Pennsylvania to see family for a week! I’ve been doing training and preparation to lead Tinkergarten classes this summer (outdoor, play-based, child-led nature activities). Both kids were pretty sick this last week but managed to recover enough for us to go camping this Memorial Day Weekend. Now, they are settling into some bad coughing, so hopefully this too can pass without any drastic measures. We are in the final month before the Summer Scamper which support the children’s hospital at Stanford – Lucile Packard Children’s Hospital. You can support Hana’s Heart team, especially in memory of Leo. With your help more children can get a second chance at life. Lastly, please remember the importance of organ donation. If you haven’t already, register to be an organ donor. Today, when my phone rang and when I saw the phone number come up, a little gulp of fear surged through me. It was Hana’s Nurse Practitioner and I was sure she was calling with biopsy results except that it seemed way to early, at 10am, to already have results. Nancy sounded cheerful and immediately said she had more good news. Hana’s biopsy result was a 1a, which is essentially no rejection. I felt incredibly relieved and said “whew!” Out loud. Her next biopsy is not until early May. We will begin to taper her steroids. We also discussed flu precautions, which has me slightly terrified this year. They had no additional precautions than the ones I’ve already implemented. Anyhow, we have reason to celebrate such good biopsy results! On to the big news that Nancy gave me yesterday. After discussing Hana’s biopsy yesterday Nancy’s said she had more good news and then she said, “You have a letter from the donor family.” And then she handed me a plain white envelope, very thin, which appeared to have one sheet of a typed letter inside. I immediately started crying. I took the letter feeling like it was the most precious paper I had ever held in my hands. I felt so many things at once that I can’t even really identify them all. They were just very very big emotions. Not since we received the call that there was a heart for Hana have I felt like this. I felt intense gratitude, relief, excitement. I felt the intensity of loss, grief, suffering. I even felt love and hope and desire. Of course, I did not open the letter until Paul was home. I cried on and off throughout the rest of the day. I waited. This is one reason why I did not mention this yesterday – I still had not opened the letter. The letter was short and heartfelt. 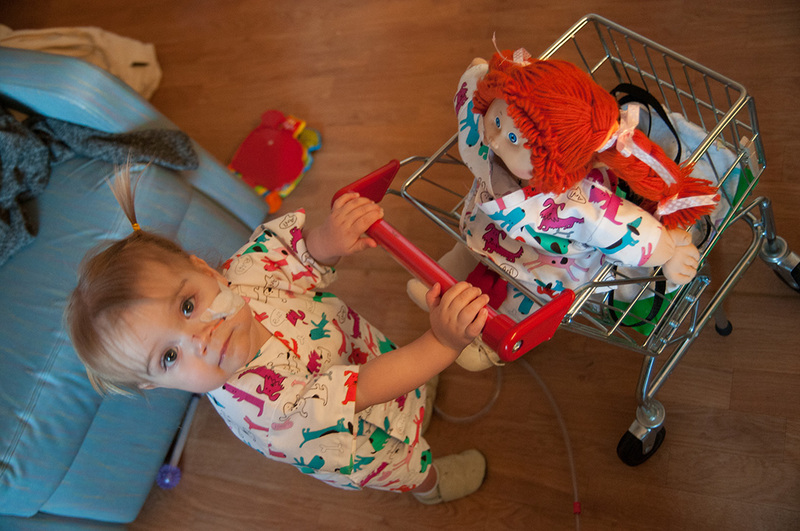 The donor was a boy, a little younger than Hana, who died unexpectedly. He had a contagious smile and was full of life – running, jumping, chasing. He was an only child. The parents said they think every day about the recipients who received his gifts and would love to hear how they are doing. We have decided that we are not going to post any identifying details that were shared by the donor family. As much as we love and appreciate all of the readers of this blog we want to respect the privacy and anonymity of the donor family. It has been very emotional and we are still processing it all. I am incredibly grateful that the donor family reached out first. As much as I have wanted them to know our gratitude for their choice, it just never felt like it was the right time. Not just yet. Now, it feels like the right time! In a few days, after a bit more processing, Paul and I will write a reply. I hope we can somehow find that words that might begin to express how we feel. I hope we can perhaps offer some solace knowing that their son’s heart beats within Hana and explain how much she loves life. I hope we can continue to be the best stewards of this most incredible and amazing gift for Hana. Thank you donor family. You are in our hearts every night. I know, I know, this update is long overdue. I’m sorry. I’m tired. It must be having a baby that makes me too tired to keep my eyes open too long as soon as I sit down. Actually, I’ve been tired mostly because I spent almost the entire fall season sick. Since we got back from Hawaii in mid-September and we all contracted RSV, I’ve had a nearly non-stop flow of bad colds, with a week in between. Luckily, colds I got that the kids did not get first, I did not spread to them. Corrina got the croup right after Thanksgiving which spread to me and then Hana. It took me the longest to get well (five or six weeks), even Hana got better long before me. This is not bragging (but may sound like it) but I’ve had people say to me, “I don’t know how you do it. How do you do so much?” Well the answer is, I don’t, I hit a wall. Because my body obviously told me I was doing too much and I needed to take better care of myself. I also struggled a lot this fall with anxiety or maybe you would call it PTSD having to do with all we’ve had to deal with Hana. Dark thoughts kept creeping into my mind and it took a lot of energy to overcome them. Maybe I’ll say more about that later. This has been too much about me already. Now, more about Hana. Hana is doing GREAT! She is LOVING life. Truly. She goes to Forest School two mornings a week for preschool. This is 100% outdoors in Golden Gate Park in the woods. They climb trees and play with sticks and dirt and pinecones. She loves it. I would have loved the idea of it even if she weren’t immune suppressed but its an added bonus that she is less at risk of exposure to other kids’ germs. The teachers are amazing too. If you are wondering what they do in the rain, they stay outside and play in the rain and mud! I dress her with a base layer of wool long underwear and she has good rain paints, raincoat and boots. Hana started swim lessons this fall too. She also really loves swimming and is so excited that she is will to sit poolside for 30 minutes (with a stack of library books), while I take Corrina in for her lesson first. I think its amazing that, after nearly nine months of not being able to even take a bath submerged in water, that she loves swimming so much. Lastly, the latest addition is that Hana started taking dance class. I was not going to add another activity but she was asking to dance all the time and when I showed her a few preschool dance videos (check out Petite Feet on Amazon streaming video) she fell in love. So she started a ballet/tap/tumbling class with just the right mix of structure and age-appropriate fun and she loves it! She is very motivated and driven all on her own. I think she actually would enjoy a more focused class, which surprised me, considering her age, but its more than good enough for now. In between all these things we try to make it to the playground, the beach, the Children’s Creativity Museum (if you go, check out their Sketchtown exhibit, its amazing), the Bay Area Discovery Museum, the San Francisco Zoo, and the California Academy of Sciences. We keep fairly busy. I think I may be trying to overcompensate for all the time Hana has had to spend stuck in the hospital. But its now winter/rainy season here in San Francisco during one of the worst cold & flu seasons in a long time and we are hibernating a little bit to keep away from the germs. So, I think we will have plenty of inside play time. Unfortunately, the last cold caused Hana’s biopsy in December to be rescheduled. She got a 1b, which Stanford treats as mild rejection (other transplant programs treat it as no rejection) in November and was supposed to get another follow up biopsy in December. Now, that’s rescheduled for the end of January. The theorize that the 1b was a reaction to the RSV in September. This is why it is so important for her to stay healthy. Okay, now I’m frustrated because the rest of this post got deleted somehow. Oh well, I think you got the main points! Happy New Year! 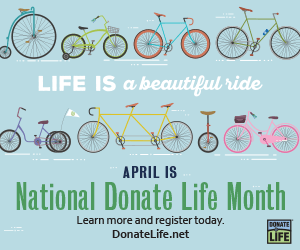 April is National Donate Life month. What this means is there is a campaign to increase the awareness about the amazing gift of organ donation and to encourage more people to register as organ donors. 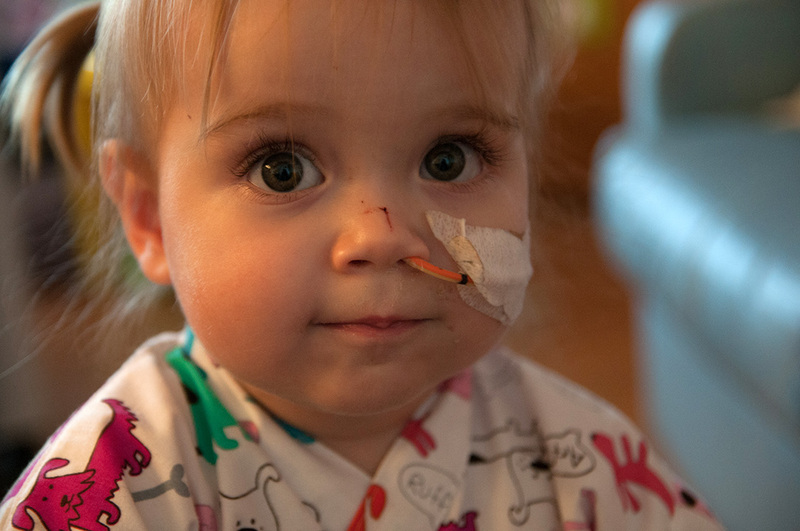 If you are reading this blog then you are probably already aware of what the gift of a donor heart would be for Hana and our family. This month, I will be adding some support for this cause in addition to our usual updates. We would like to encourage anyone who is not already a donor to register! If you’d like more information, please read the “Why Be A Donor” page from the Donate Life organization. The thought of becoming an organ donor is not a pleasant one, especially if you take a moment to consider if you would donate your child’s organs. I hope that moment never comes for you. To consider organ donation at a time when your child has been pronounced brain dead and probably in a situation that was a tragic shock, must be very difficult a midst overwhelming grief. I mention this because this is what a family will have to do someday when they make the choice to give the gift of life for Hana. I want to honor them, their choice and the memory of their child by really trying to feel what it must be like to be in their shoes. It is about human connection. This donor family understands what a gift of life would mean to a family and rising out of their grief they can hope to alleviate some suffering. Paul and I are both stubbornly independent people, so to talk about this need of a gift of life for Hana is out of our comfort zone. While I imagine anyone would feel uncomfortable, I think for me, I try so hard to “do it all myself” and “not rely on anyone”, and now, here I am, totally and completely dependent on another family choosing the gift of a donated heart. For our daughter to live, some family must make that choice. We will be forever indebted to them. It is no longer good enough to just “Live and let live.” Now, I feel like “Live and help live.” I also see this as a chance for greater human connection. This is why I write this blog. This is why I encourage you to register as an organ donor and to help spread the awareness of organ donation. It’s about a level of human connection. If you are interested in helping to spread the word, please let me know! Stay tuned for more tomorrow. Now, let’s talk specifically about Hana. She is doing great! I’ve heard them say she is the Poster Child of a Berlin Heart. She is getting around and developing normally. Of course, she is still delayed in that she is not eating and must be NG tube fed. Monday afternoon she starts her next round of IVIG therapy. I hope it goes smoothly like the last two times. 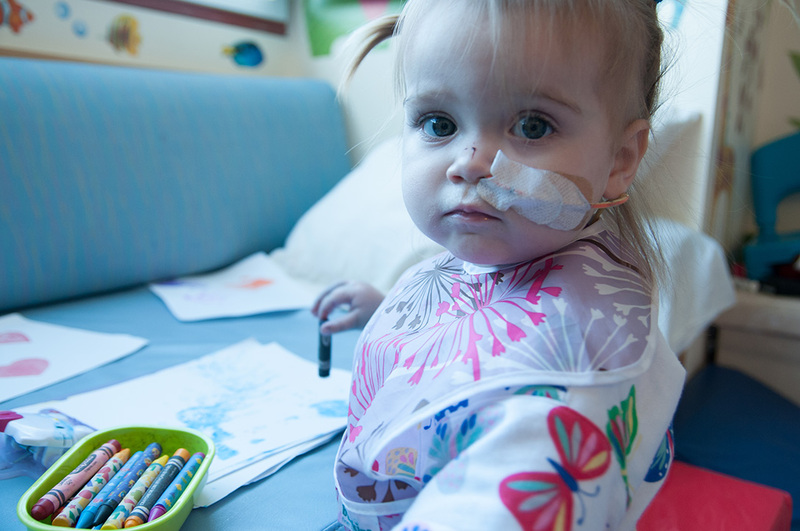 More than that, I hope it continues to help suppress her antibodies so that she can match a greater number of donor hearts. A couple days ago, Hana received a package from my mom. In it was a cabbage patch doll that we had at home and used as a “guest” during our home feeding sessions. This doll already had her own NG tube but now she has her very own Berlin Heart! She also has an outfit that matches Hana, all thanks to my mom! 136 days in the hospital, 118 days post-Berlin Heart, 110 days on the transplant list.